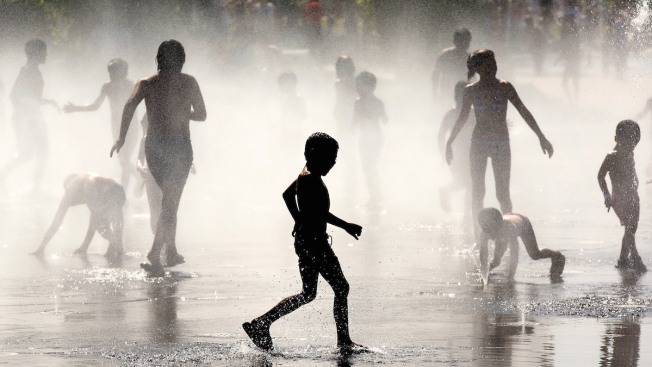 Millions Brace for Summer Scorcher Across U.S.
Around 35 million people will be under a heat advisory Wednesday, facing blazing temperatures and thick humidity which will make the summer scorcher only feel worse, NBC News reported. Excessive heat warnings were in effect from St. Louis down the Mississippi River and past Memphis — into northeastern Louisiana and including Philadelphia. The sweltering heat is expected to last unusually long, Weather Channel meteorologist Kevin Roth said. The northwest will see temperatures 10-20 degrees above average, with record-setting heat likely on Thursday and through the weekend. The northeast will see highs 5-10 degrees above average, Roth said. The most dangerous heat is forecast for Missouri and Memphis, with predictions that the heat index could climb to 110. Texas and Florida, too, will see temperatures top 100 degrees.